Often times potato hashes or pan-fried potatoes are bland chunks of potato that are undercooked and dull. However, this version is a real improvement! The potatoes are cut pretty small so they cook fast and are filled with flavor. 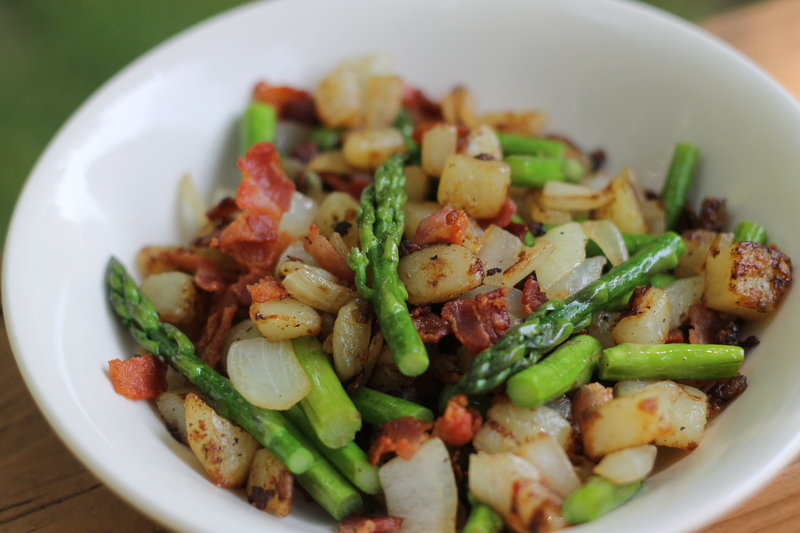 It’s a relatively simple dish, too; only asparagus, bacon, onion, and potatoes. It made an excellent lunch, but it would also be good for breakfast served with eggs. You should definitely try this dish sometime soon! Heat a 12″ pan over medium heat. Fry the bacon, turning it frequently so that it browns and crisps on all sides, about 8-10 minutes. Remove it with a slotted spoon and drain it on paper towels. Leave the heat on and the renderings in the pan. If necessary, add a tablespoon or two of olive oil. Add the potatoes to the pan. Season with salt and pepper, but don’t stir for a couple of minutes. Once the potatoes have gotten a little brown underneath, begin flipping and turning them, then letting them cook again for a few minutes. When the potatoes are about 3/4 as crisped and brown as you’d like them, about 15 minutes, add the onion. Cook for an additional 5 minutes. 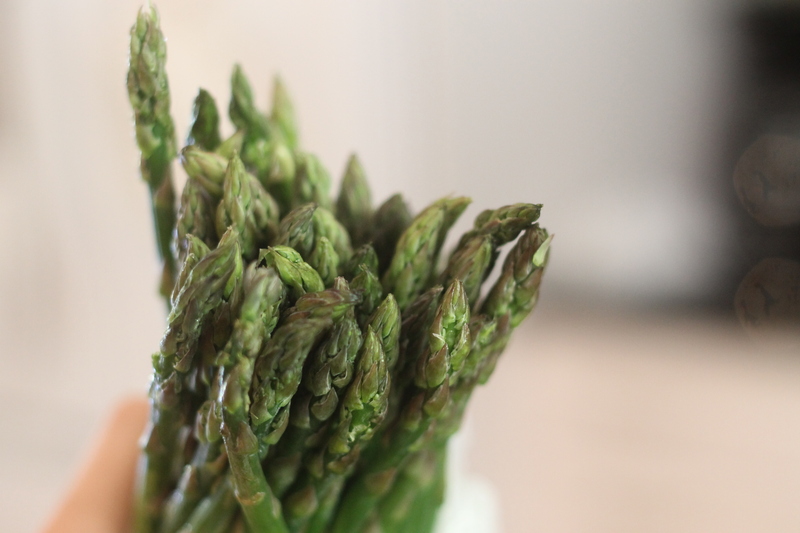 Add the asparagus, cover the pan and cook for about 5 minutes, or until crisply cooked. Remove the lid, return the bacon to the pan for another minute, to reheat. Season with salt and pepper.